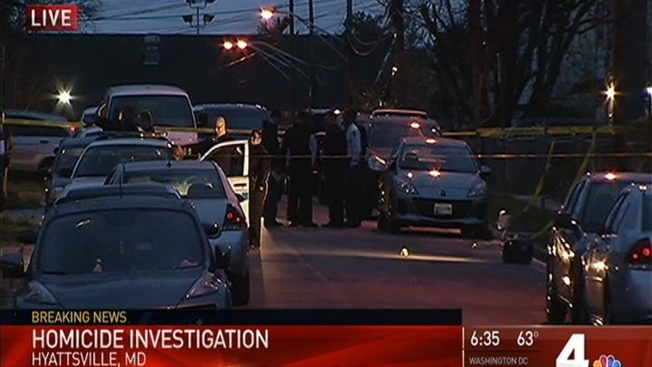 A man found dead in a Hyattsville, Maryland, neighborhood was murdered, Prince George's County police say. Officers were called to the 7100 block of East Lombard Street at 4:30 a.m. Tuesday after someone saw the victim lying unresponsive in the driveway of a home. The victim, who has not been identified, suffered trauma to the upper body and was pronounced dead at the scene, police say. "For something like this to happen, it hurts all of us," said neighbor Theresa Mitchell. "That's somebody's son, that's somebody's nephew, that's somebody's grandson who was laying on the ground on a rainy, wet Tuesday morning."